This work has already been premiered. This work has not yet been premiered. Yes, please send my feedback! No, I do not wish to receive my feedback. ​By accepting the award, the composer agrees to give FNMC performing rights for one year and recording rights for six years without further compensation. 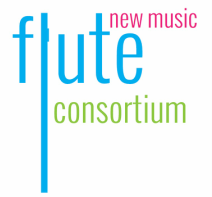 The composer agrees to acknowledge the Flute New Music Consortium 2016 Composition Competition in scores and program notes pertaining to the winning work. The composer agrees to appear in one video-recorded interview with FNMC, discussing the winning work. The winning composer will receive a $250 prize, one or more performances, recording of at least one premiere performance, and recognition on the FNMC website. I acknowledge and agree to the listed terms and conditions.